Mumbai is a large industrial city of India. Considering this fact, the Salesians who were established at Matunga since 1928 decided to start a technical school. This was done to cater to the growing demand for skilled workers in the industrial sector. Fr. Maschio and Fr. Rubio took charge of finding a plot for this purpose. They finally settled on a plot at Kurla shown to them by Rev. Peter Pereira, the parish priest of Holy Cross Church, Kurla. Now on this plot are three excellent Technical Institutes known to Mumbai. His Eminence Valerian Cardinal Gracias laid the foundation stone for the St. Joseph’s Industrial Training Institute on January 30, 1963 and the first session of the training school started on August 27, 1965. 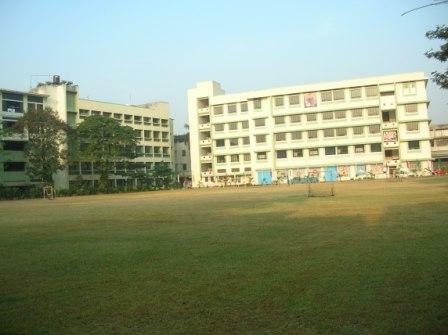 St. Joseph’s I.T.I was the first institute set up by the Salesians at Kurla. It started with 56 students and today has a strength of 198 students. The I.T.I provides training in trades such as Fitters, Machinists, Motor Vehicle Mechanic, Electrical maintenance, Electronics, A.C. maintenance etc. These courses usually run for a period of two years. Till date it has produced a number of quality technicians and is now one of the premier ITIs in Mumbai. With globalization and a radical shift of the industry into the Electronic and IT fields, the need of the hour was excellent engineers. With its vast experience in managing educational institutes and especially technical ones, it was natural that the Salesians enter the engineering field. Thus DBIT came into existence in 2001. 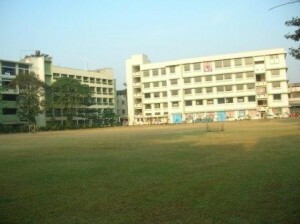 The Don Bosco Institute of Technology is managed by the Bombay Salesian Society. The Bombay Salesian Society is a registered charitable trust that manages various charitable and educational activities in the state of Maharashtra. Its educational institutions are usually named after Don Bosco who is the founder of the Salesians who are Roman Catholic Priests and Brothers. DBIT Introduces Four Year Degree Course in Mechanical Engineering. Intake : 120 students (60 minority, 60 others) 2012- 2013 session. Mechanical Engineering is one of the core engineering disciplines which deals with design and production of tools, machines and all other mechanical equipment to be used in industries. Mechanical engineering is concerned with all types of machinery in industries and all aspects of their construction and functioning; the design, development, manufacturing, installation, operation and maintenance. A Four year degree course in Mechanical Engineering includes study of IC Engine, CAD/CAM, Material management and strength of materials, Steam and Gas Engines & Turbines and Design and manufacturing of Machines. We have a Fabrication and Machines shop. A well equipped Central Workshop spread over 2500 sq.m. containing a variety of general purpose machine tools such as lathes, milling, shaping machines and many more. We have unlimited licenses of design software, CADIAN – 2006 and licensed copies of Auto CAD -2006 (Mechanical and Electrical), Raster Design to enable the students to acquire hands-on skills in modern design and manufacturing practices. We have more than 500 computers in network and also we have broadband internet connection 14 mbps line 24*7 unlimited download. The existence of Electronics & Telecommunication and Computer Engineering branches will provide opportunities to our Mechanical Engineering students to take up interdisciplinary projects in the existing field of Robotics and Automation. Students who are keen on learning more about automobiles can use the facilities of automobile section present in the premises. The on results of the first batch of B.E. Graduate students in EXTC, CE & IT has been excellent and we have a good placement record of the first two batches. The Final Year grade shall be determined on the basis of performance of the student across all the eight semesters. Computer engineering, one of the most rapidly growing fields today, helps us to solve modern engineering problems using design, development and application of digital and computer-based systems. Initially the students study the scientific foundations that are the basis for all engineering. Specialized electrical engineering, computer engineering and computer science courses follow. Later in the higher semesters students can participate in an actual engineering design project which is taken directly from a current industrial or commercial application. Electronics is one of the most important manufacturing sectors in the world today. The expectation that next generation computer and communications products will be far more powerful than before is seen in all products incorporating electronics. The Electronics and Telecommunication engineering program encompasses areas such as Telecommunications, Data Networks, Signal Processing, Digital Systems, Embedded Computing, Intelligent Systems, Electronics, Optoelectronics, Solid-State Devices and a lot more. Students participate in live projects to gain hands on experience. In today’s business world, the strategies and directions of the IT department form the basis for the overall corporate strategy. Once regarded as merely a service department, decisions made about the IT infrastructure now dictate its ability to exploit market opportunities. Information Technology is also a four-year degree course, similar to that of the Computer Engineering program. The difference is that students in this field will be trained primarily on the software application and design modes of the computer industry. The Applied Chemistry laboratory supports and illustrates chemical concepts studied in the lecture halls, introduces important laboratory techniques and encourages analytical thinking. The chemistry laboratories are spacious, with a range of equipment available for carrying out experiments. Learning is effective for unlike the lecture sessions, in the lab small groups of students interact with the teacher for a better understanding of chemical concepts. The Physics Laboratory is an integral part of the Department of Applied Sciences. It is an experimental research facility devoted to the study of basic and applied Physics in a broad range of applications. The goals of our labs are to provide the students with a chance to experience the Physics that they learn in theory lectures, to acquaint them with basic experimental techniques and to introduce themselves to the methods of handling experimental data. The Electronics and Electrical Engineering Laboratory provides the basis for all electrical measurements. The Electrical Engineering Laboratory is well equipped with instruments to perform a wide range of experiments in electrical and electronics circuits. These experiments provide a hands-on experience in using measurement equipment, in constructing, analyzing and testing electrical and electronic circuits and illustrate the principles studied in theory lectures. Mechanical Engineering is a broad field primarily concerned with the principles of motion, energy and force. Static and dynamic load tests are performed, and material strengths are tested and determined in this lab which can accommodate more than sixty students at a time. The DBIT Library is an important Learning Resource center with Open Access System. There are over 10,000 books, 59 print Journals of which having 31 are of International and 28 National scopes. The Library has online subscription for more than 20 IEEE & ACM Journals. A separate collection of more than 1000 CDs’, Floppies and DVDs’ covering a vast range of subjects like software, communication skills, Management skills, Personal Management, Aptitude tests, GATE and for other Competitive examinations. Ekalavya online tutorials, Workbooks, Book-bank Books, University Syllabi, Previous Year Question Papers/Question Banks, Bound Volumes, Old Project Reports, Manuals, Hand Books and Newspapers are also available in the Library. Library services are automated using SOUL software, OPAC (Online Public Access Catalogue) and WEB-OPAC are available for users to search the status of Library material. Barcode Technology is been implemented in Library transactions. Computers with multimedia facilities and Internet facilities are available during the Library working hours to students and staff. The Library’s collection and its services reflect not only the syllabus requirements but also the present and advanced requirements in the field of Electronics and Telecommunications, Information Technology and Computer Engineering. The Library is open to its users from 8.30 am to 8.00 pm. on all working days. All these make the DBIT Library a one-stop place for learning. The DBIT Library is not a mere store house of Resources. It turns frequent users into a resourceful person. A favorite spot for any student in any college is always the canteen. It is the place where one can drop by in any frame of mind and still have a great time. It is here that success is enjoyed and victory is celebrated; friends interact the most, solace given and basically a place to chill out. The scene at DBIT is not different either. With its ideal location adjacent to the college building, facing the football ground and the tennis court, the DBIT Canteen caters to the various taste buds. The menu features interesting dishes from traditional meals to Chinese at subsidized rates. Computer programming lab(for first year). Our institute is situated on a large serene campus & can easily be reached from Vidyavihar (the closest station), Kurla and Ghatkopar stations of Central Railway and Santacruz stations of Western Railway. BEST Bus No. 322 plies between Vidyavihar(W) and Santacruz(E) station and stops just outside the institute, while several buses pass from the nearby junction – named ‘Kamani’. This entry was posted in Engineering Colleges, Maharastra, Mumbai, Uncategorized by eduportal. Bookmark the permalink.